Our partners are leaders in the early childhood community and provide vital support to EHS families through medical expertise, nutrition education, early intervention and disability services, safe and affordable housing, adult education and job training and behavioral support. Contact us at 614.292.7680 or OSU_EHSPartnership@osu.edu to learn more. We collaborate with a network of 11 licensed childcare centers and eight licensed child care homes to improve the education and well-being of our children. The quality of child care our families receive has a direct impact on their child’s ability to learn, to build healthy relationships and to become the best they can be. These child care facilities offer parents the knowledge that our providers are regulated through the highest standards. In their care, children receive sensitive and responsive caregiving, cognitive and language stimulation, and a safe and healthy environment to learn and grow. Many of our providers are located in Columbus communities (see map below) close to where our families live. 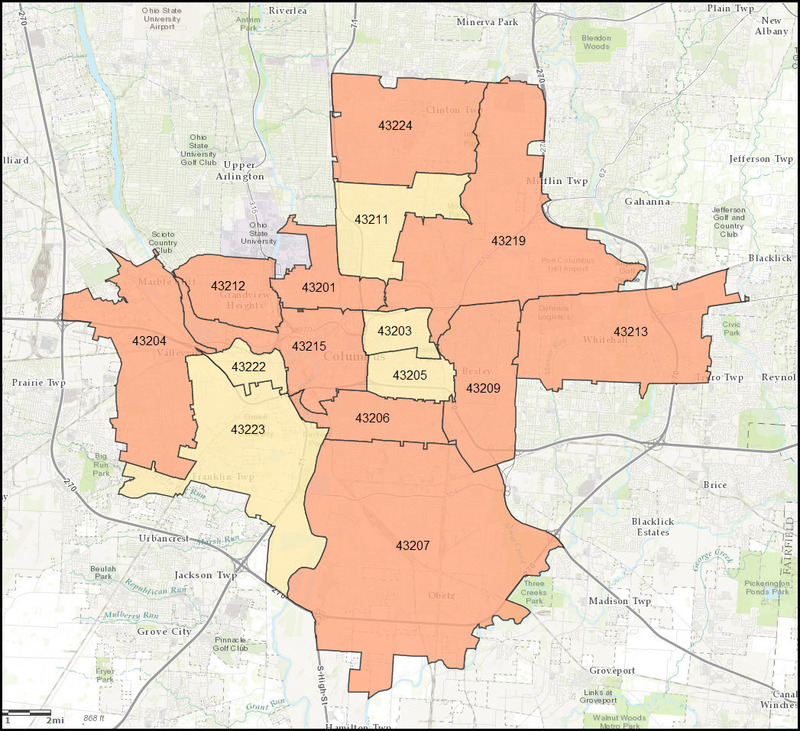 These neighborhoods include Franklinton, The Hilltop, South Linden, Near East neighborhoods, Near South and Far South neighborhoods and the University District.